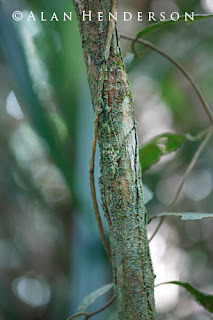 The Spiny Tree Katydid resting on a small tree adjacent to the walking track. 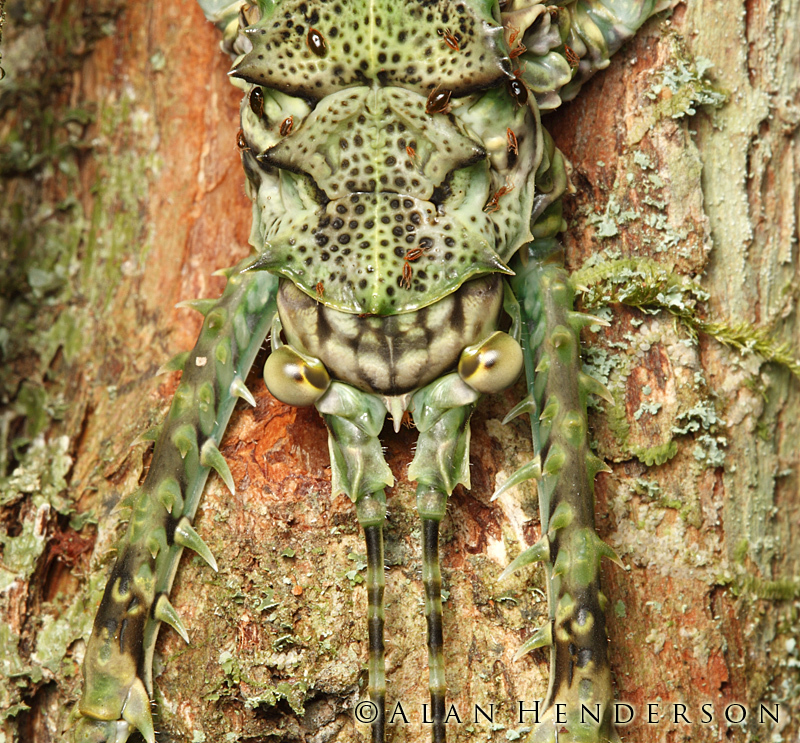 A close-up of the head of the katydid. 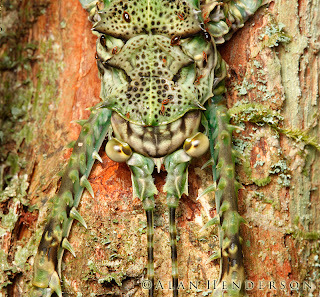 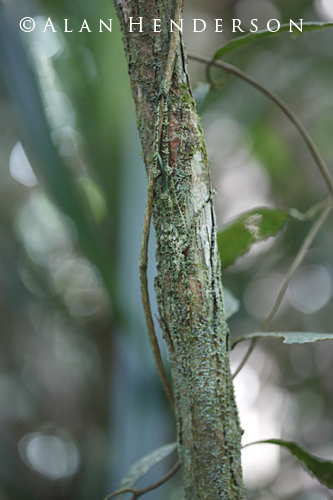 The spines, colour and pattern all help to break up the outline of the animal resulting in excellent camouflage.